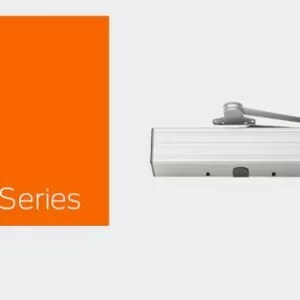 The STANLEY Magic-Access low energy (knowing act) operator can automate virtually any swing door, new or existing, through physical activation from a push plate, wall-switch or card reader. Engineered to meet the most difficult applications, Magic-Access effortlessly provides a full range of automatic door functions to an otherwise manual door and is compliant with all U.S. and Canadian handicap access laws, including ANSI A117.1 and A156.19. 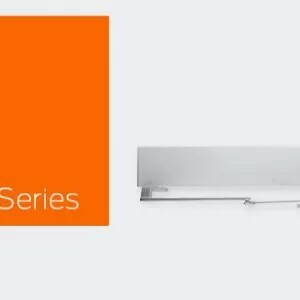 The operator installs on the door frame in place of a conventional closer and works with metal, wood or glass doors (hinged, offset, or pivot center) up to 44 wide. This state-of-the-art electromechanical operator works in conjunction with a sophisticated electronic controller and a variety of activating devices. The end result: quiet, smooth, automatic door control without compromising building traffic flow and architectural aesthetics. 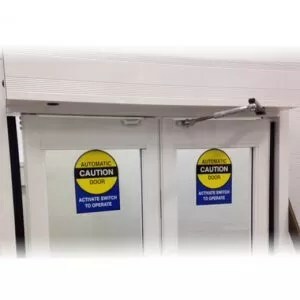 It is also available as a fire door package with UL listed equipment, for applications such as hospitals.